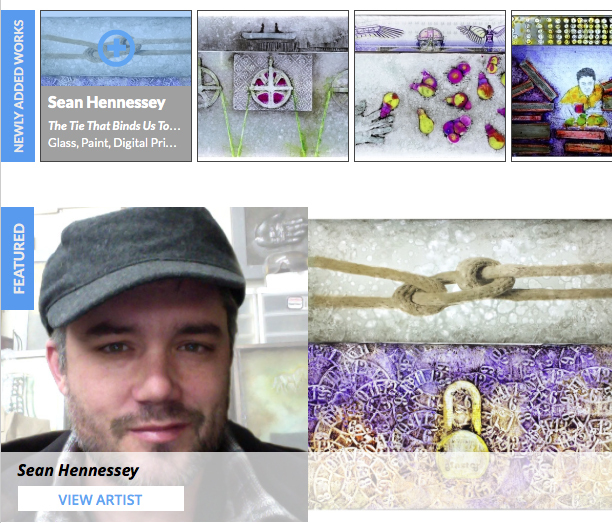 Congrats to Sean Hennessey - Habatat Galleries Michigan have him as their Featured Artist. Habatat Galleries was established in 1971 in a suburb of Detroit, Michigan. Habatat is the oldest and largest glass artwork gallery in the United States devoted exclusively to artists working with glass as their medium. Their 12,000 sq. ft. Michigan gallery is the home of the original International Glass Invitational, which for 43 years has introduced and exhibited the greatest artists working creatively with glass. Habatat Galleries’ goal is to take an active interest in developing collections and promoting artists whom they feel should be recognized in our generation and beyond. Click HERE to jump to Habatat Galleries website. Sean’s artworks will be featured at SCOPE New York, March 3-6, 2016 and Habatat Galleries 44th International Invitational, May 5-7, 2016. 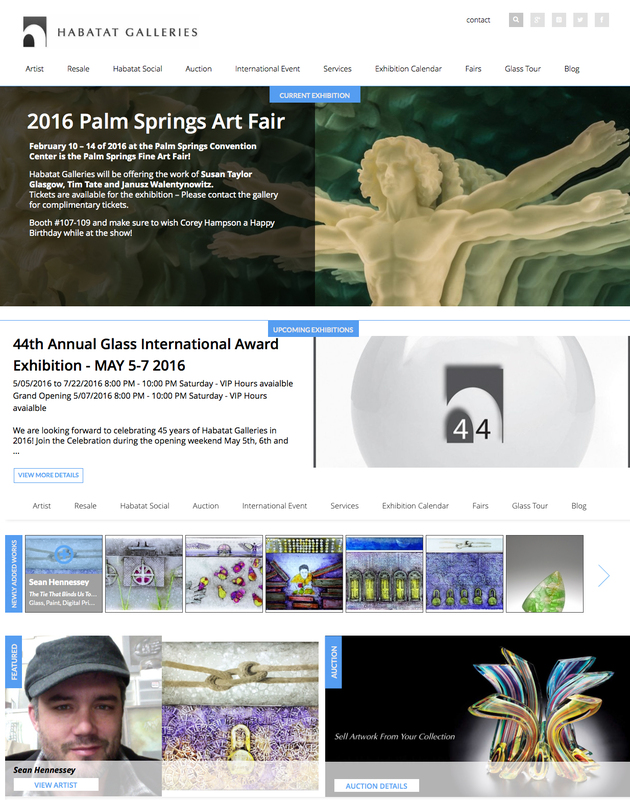 >Michigan’s Habatat Gallery – one of the oldest and largest glass galleries in the United States. Habatat just had their 38th International Glass Invitational where over 90 artists from 16 countries were showcased. This year, there was a competitive component – a distinguished jury of art critics, curators and directors of museums selected 25 artists for awards. Washington Glass School’s Tim Tate was one of the artists selected by juror Tim Close, Director of the Tacoma Museum of Glass. Tim’s artwork will be featured in a museum exhibition and a hard cover book as part of his prize. Congratulations Tim! Devoted exclusively to artists working with glass as their medium, Habitat Galleries in Royal Oak, MI is one of the oldest and largest galleries in the United States of its kind. The 12,000-square-foot gallery is home of the International Glass Invitational, where invited glass artists from around the world showcase their work for some of the most selective collectors. The 38th International Glass Invitational opened April 24, 2010 and will run until May 25, 2010, featuring over 90 artists from 16 countries. Washington Glass School’s Tim Tate and Michael Janis are each exhibiting artwork in this prestigious show. A catalog of the artwork in the show is online: to view the entire Habatat Galleries 38th International Glass Invitational Awards Exhibition Catalog, please click here. **Please note, this is a 5 MG PDF and as such, it may take 1-2 minutes to download.